1. 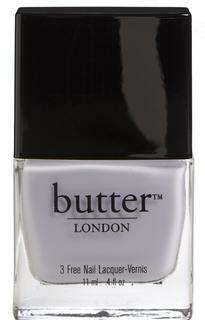 Butter London Nail Polish - I found this nail polish in a store in Norman, Oklahoma and have fallen in love with it! It paints on smoothly and dries quickly! Here is a color I bought that I really like! It's called Muggins. 2. 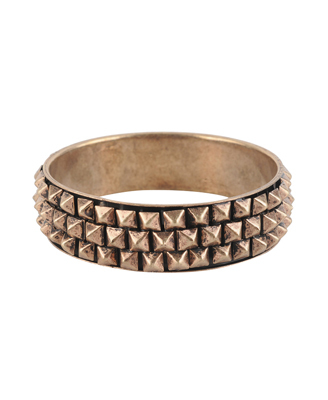 Studded Bangles - I've been getting into bracelets a lot lately and I love to mix up different looks when I wear them. I love adding in studded bangles because it adds an edgy look to my style! There are some great inexpensive ones at Forever 21! You can check out some other ones I have in my Silver & Gold post! 3. 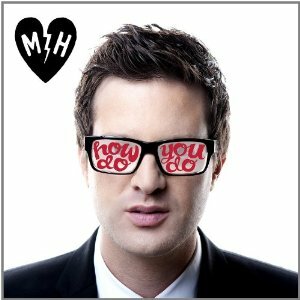 Mayer Hawthorne - My parents heard Mayer Hawthorne on The Late Show with David Letterman a few weeks ago. My mom had me download his album the next morning and I can't stop listening to it! He's got a Motown sound and it's something different than most artists out there right now! I highly recommend downloading his album called 'How Do You Do'. Listen to 'The Walk'. 4. Sweaters - I love winter time! 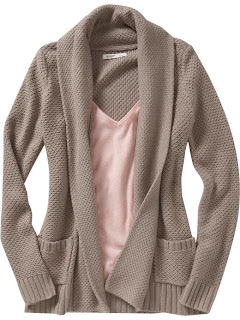 My favorite article of clothing are cardigans and I love sweater cardigans in the winter! I found probably my most favorite sweater cardigan ever at Old Navy! It's SO soft and warm! 5. Peppermint Mocha - Another love of mine around this time of year are Starbuck's Peppermint Mochas! I think I get one every other day! 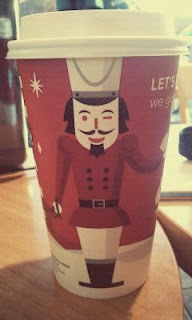 Here's a picture I took of mine with a cute Nutcracker man on the cup! And those are my 5 "loves" of the week! Most of my loves this week are beauty products! I've been "re-discovering" some products I already own! 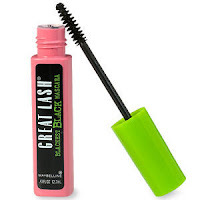 This mascara is an oldie, but a goodie. I have a love hate relationship with it. But, recently I started using it over my Benefit They're real and it get it a little extra ummph! This is a new product from Revlon that I discovered in Target last weekend. It gives my lips a beautiful, natural pink glow. 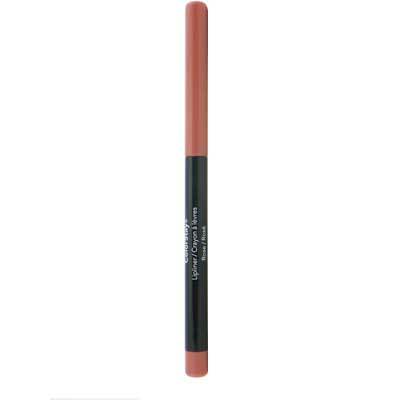 It is smooth and not overly pigmented! They have a ton of great shades, I want to pick a few more up. Watch a review of the Lip Butters here. I always buy lip liners, and to be honest I never use them. I started experimenting with the ones I have and they are great! They help define my lips, they make them appear larger and help contain the color. My current favorite: Revlon Color Stay in Rose. It is finally started to get a little chilly in Washington DC (though it was 70 today!) and I have been loving tights for work! Black tights make it easy to wear all of your fun dresses and skirts to work in the winter! 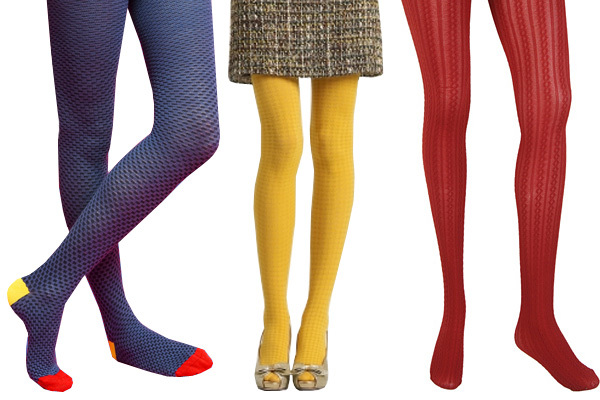 Or, you can pick colored or textured tights to spice up the outfit a little bit. I like these opaque mustard yellow tights from Free People! With Thanksgiving right around the corner, my pumpkin obsession is in high gear...pumpkin cupcakes, pumpkin icing, pumpkin scones, pumpkin Keurig coffee, pumpkin spice lattes, pumpkin candles, pumpkin lotion, pumpkin pancakes, pumpkin colored nail polish... 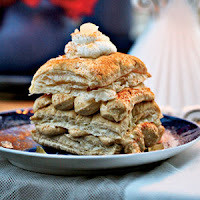 Thanks to my love of baking I am responsible for Thanksgiving Dessert every year...on the menu for 2011: Pumpkin Cream Cheese Napoleons! I'll let y'all know how they turn out!